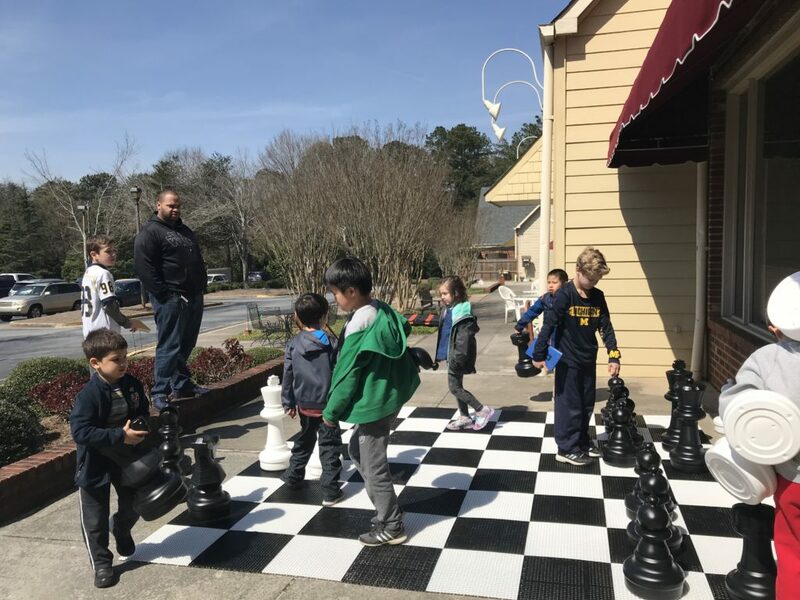 Chess Club and Scholastic Center of Atlanta (CCSCATL) can customize your homeschool chess program! Co-owner and founder of CCSCATL, Karen Boyd, is a former homeschooler (she homeschooled her eldest until he was in 7th grade) and understands the needs of homeschoolers. Many homeschoolers prefer to set up a class that has students from their own homeschool group. Classes are available Monday-Friday between the hours of 10:00AM-3:00PM. The minimum number of students needed per class is 8. Our standard format is an hour-long class but we can expand that to be longer if requested. Prices are $250/child/semester (based on approximately 15-week schedule). A sibling discount of $100 will be given. The semester session can also be broken down into 8-week blocks if that suits your schedule. The price would be $130/child/8-week class with a $50 sibling discount. We roughly follow the Fulton County public school calendar in selecting holidays. If you prefer to enroll your students as individuals (and not as part of a group), we will be offering a Homeschooling: Chess Basics class from 1:00-2:00 on Tuesdays. Please click here for more details and to register for the Fall semester. We are conveniently located in the same shopping center as Discover Science Center (popular with homeschoolers! ), FootNotes Dance & Acrobatics studio, C&H Art studio, and Instrumental Music Academy, making it easy for the busy homeschooler to cluster activities together. Please email Karen@atlchessclub.com for more information on homeschool chess classes. To view the full program description that is applicable for both brick and mortar schools and homeschools, please visit our Schools page.